As I’ve shared before I have a goal that everything that hangs on our wall will have meaning or purpose. I’ve set a high standard for myself and the things we will have in our home. Therefore, there are not a lot of things on my wall. 😀 I have grand ideas and lots of wonderful things to put into the voided space – but it takes time to complete some of the projects. So, this week I decided to buckle down and complete one of the projects I’ve had in mind to do for quite awhile. 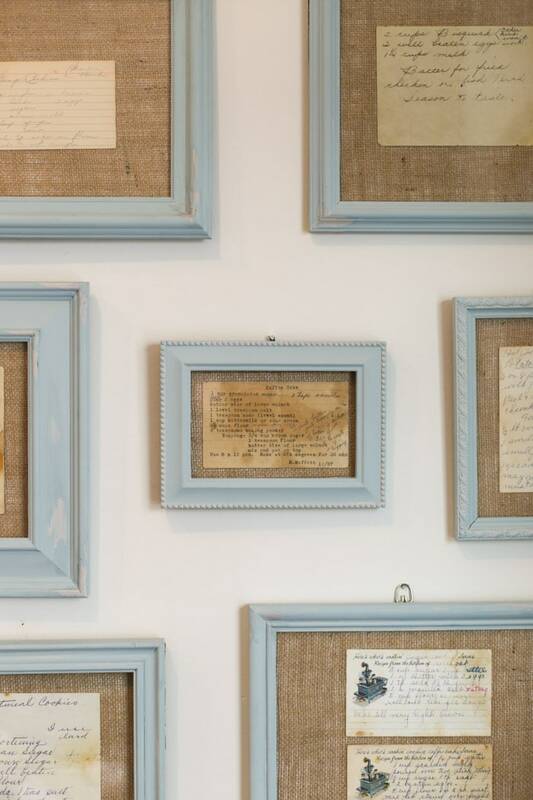 I wanted to frame some of the recipes I have from my grandma and my great-grandma into kitchen wall art. You could safely say that I come from a family of cooks and bakers and they saved every single little recipe that was a favorite…and then some! It’s a little overwhelming and a whole lot of awesome at the same time. 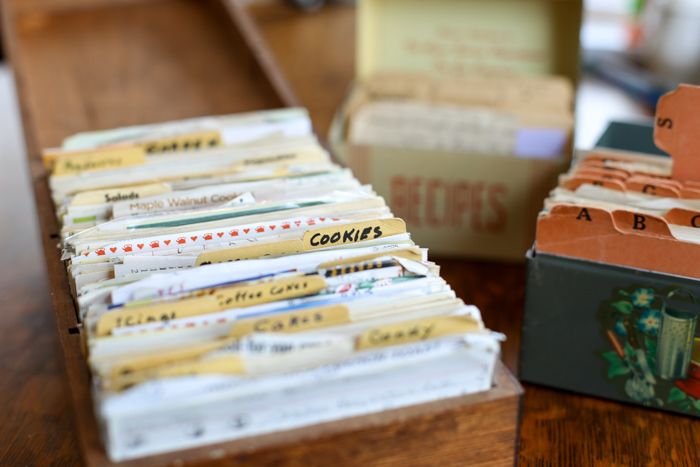 I started the project by looking through many of the recipes to pick out which ones I would want to frame. I chose ones that were classic recipes that you could see the entire recipe on one side. The next step was figuring out how to frame them. 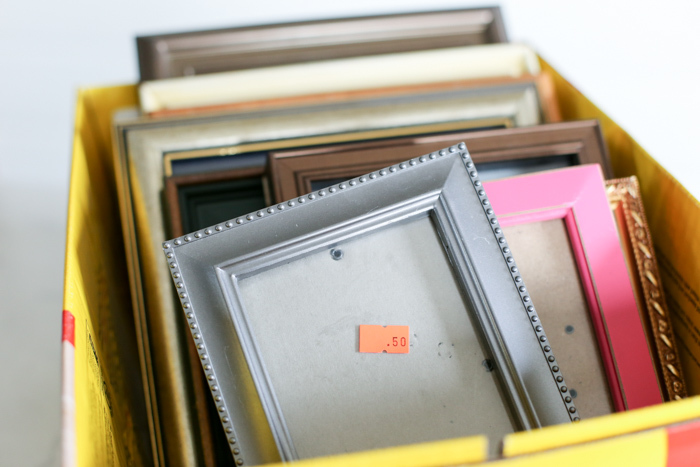 I could have made this project so much easier by purchasing a bunch of frames at our local craft store. With this week being so busy with Christmas around the corner, I’m not really sure why I didn’t do that. But nonetheless, my frugal side came out and I ventured to our local thrift store to find frames I could use for the recipes. They were cheap, unique and one was hot pink. I’ll share how I painted them to look vintage soon, but my main goal today is to show you just how easy it was to make these unique. I wanted to have a mat look around the recipes without actually creating a mat. I wanted the recipes to lay on top – but I also wanted texture. I went with a yard of burlap and mat board I purchased at our local craft store. 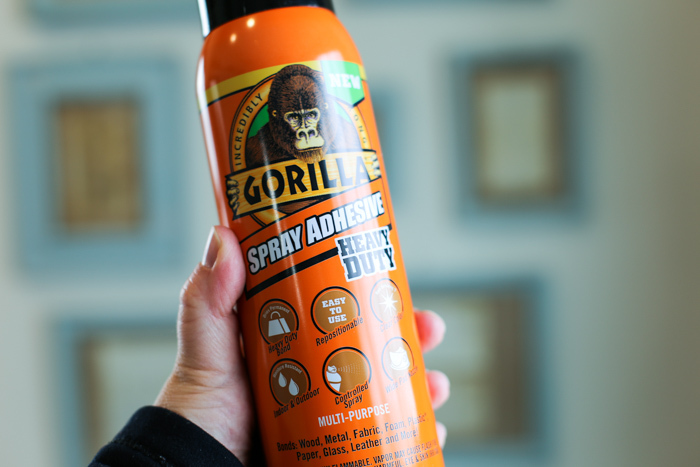 Enter Gorilla Spray Adhesive. I’ve used other products from them before, and knew that Gorilla Glue would create a strong hold for the burlap to adhere to the mat board. I also liked that it was photo safe. While these weren’t photos, they were valuable to me and I wanted to make sure they would be preserved. The spray is non-yellowing, creates a permanent bond and the fine mist allowed for even application. Winning! 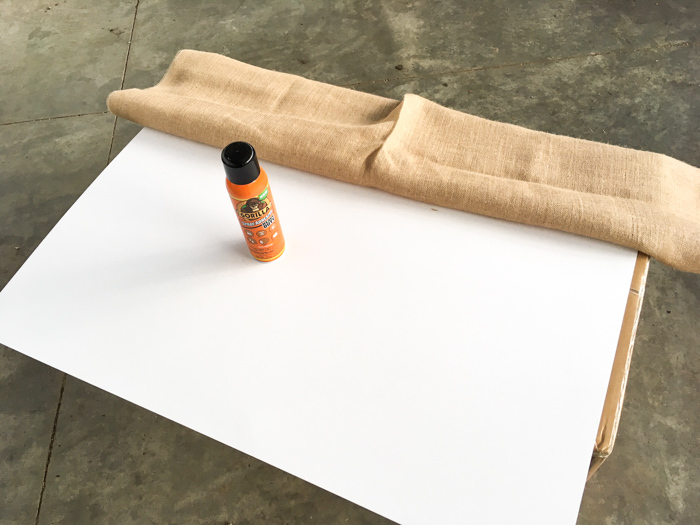 Taking the large mat, I sprayed the Gorilla Glue Spray Adhesive onto the mat and the back of the burlap. Working in sections of about 7 inches in height at a time, I moved through the mat. Let me pause here and tell you a little funny story. I decided to do this project on a snowy day where the wind was blowing 40 mph and it was less than 20 degrees outside. 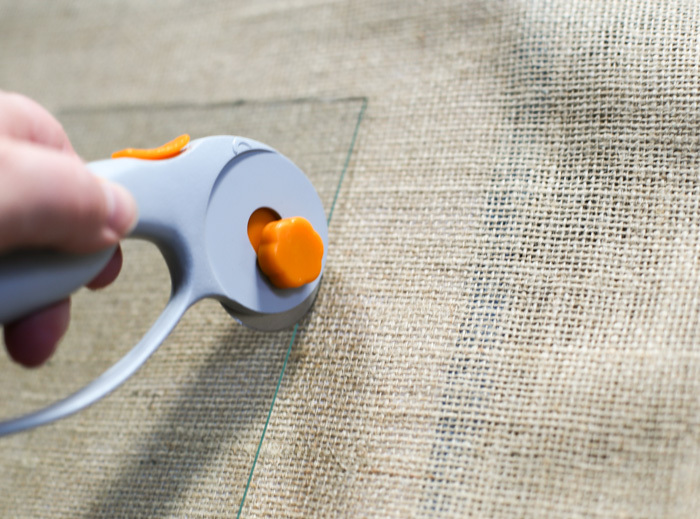 While the adhesive is indoor-outdoor I wanted to spray it outside since I was covering such a large area. Well, outside wasn’t going to work. I walked out my door to work in my brother’s barn and the entire mat went flying out of my hands. Picture me running down our hill after a giant mat board and you have what I looked like that morning. Luckily only a few places were broken on the mat board from the tumbling it did. Never. A. Dull. Moment. Back to the project. 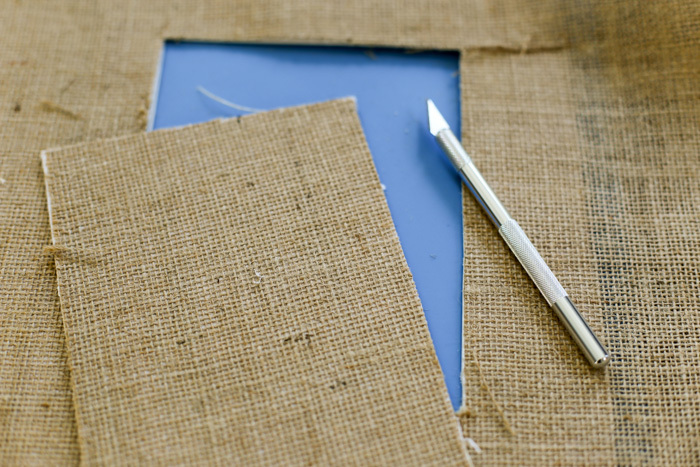 After adhering the burlap to the mat board, I cut out each section using the glass already provided in the frame. EASY. Using a circular cutter and then small knife, I was able to cut each one to a perfect size. The Gorilla Glue Spray Adhesive did a great job of keeping the fabric in place. 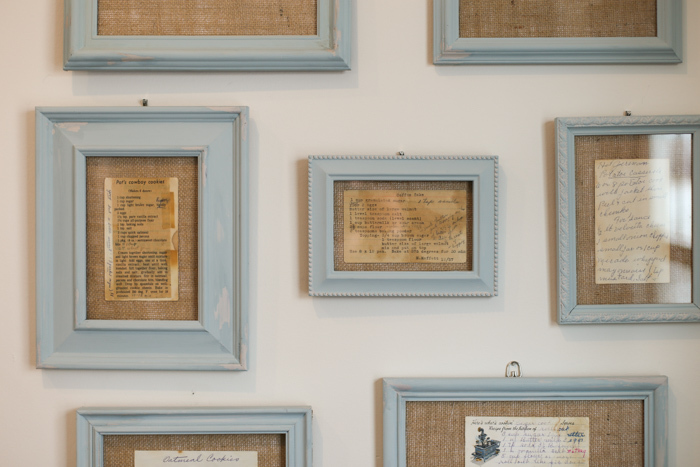 After cutting them out, I just had to pop them into the frames and add my recipes. It was a quick and easy project that I absolutely LOVE! Now when we eat dinner, we sit among the great recipes. 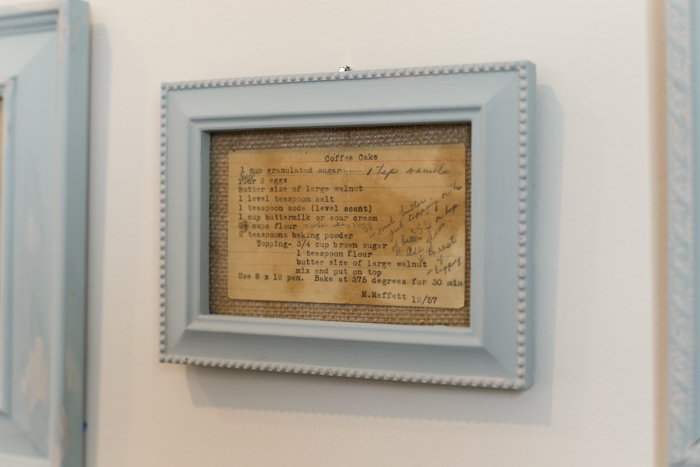 I framed a fried chicken recipe, coffee cake, German hot potato salad and other yummy recipes I do feel the need to try. I love most that the handwriting of my great-grandma and my grandmas who I baked alongside are with me when I’m in the kitchen. An easy project with the help of the Gorilla Glue Spray Adhesive was the perfect display of family recipes. Beautiful! Can’t wait to do this on my kitchen! Thanks Mary! I cherish each one of them. LOVE this project and can’t wait to do it with my special recipes from special people. Thanks for the inspiration. You’re welcome! It’s one of my favorite things on our wall.